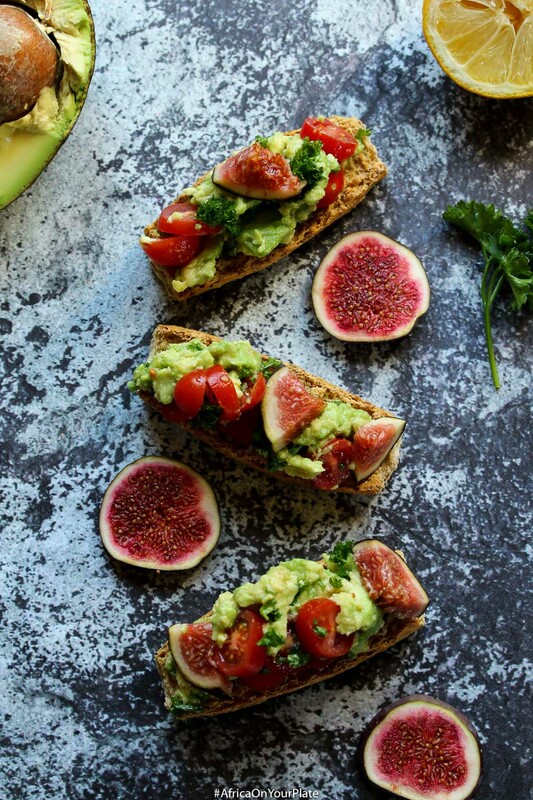 This 5-Minute Avocado Breakfast Bruschetta is the perfect grab-and-go breakfast idea. Vegan, Nutritious and sinfully delicious. Most mornings are a rush. Everything is a blur as we go through the frantic rush of getting up and out in record time. Most times, there isn’t enough time for anything, including breakfast. And if time suddenly, and miraculously became a commodity in abundant supply, there probably wouldn’t be the desire to eat first thing in the morning. The ironies of life eh! 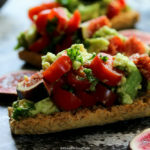 Say hello to these avocado breakfast bruschetta which ticks all the boxes. Absurdly easy to make, and easy to eat. So easy to eat that I could wolf these down in record time without coming up for air even at 6:00am in the morning. 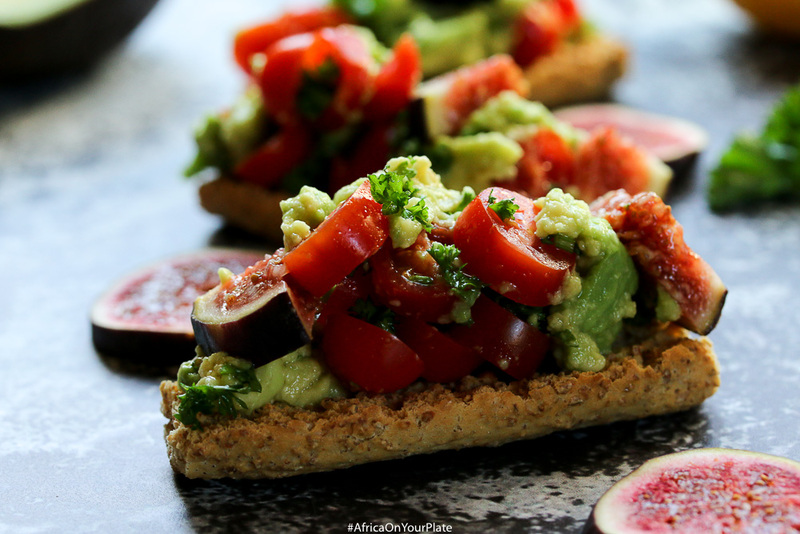 I honestly cannot get enough of these avocado breakfast bruschetta. They give me the energy I need to start my day, and keep me feeling full until lunchtime. Plus they are sooooo good, that it begs the question how something so sinfully delicious can be so nutritious and good for you. This recipe is vegan, which makes it a perfect addition to my food rota for my 30-day African Vegan Challenge. If you would like to up the ante on the protein content of this recipe, top with some boiled or roasted garbanzo beans. For a vegetarian option, try this avocado and egg breakfast recipe, which also requires just 5 minutes! 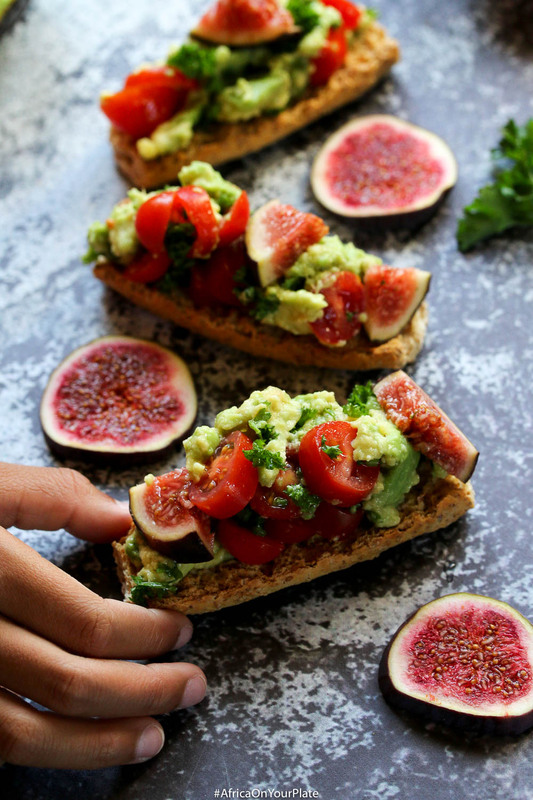 This 5-Minute Avocado Breakfast Bruschetta is the perfect grab-and-go breakfast idea. Vegan, sinfully delicious and incredibly nutritious. Peel avocado, then roughly mash it up with a fork. Add lemon juice, salt and black pepper, and combine well to mix. chop the cherry tomatoes and the fig into small pieces. Mix these together with the avocado. Serve on top of a crispy baguette. By serving on gluten-free bread.